A ‘pure’ electric car is powered by an electric motor, which takes its energy from an onboard battery. You plug the car in to the mains to recharge the battery. With zero tailpipe emissions, a pure EV is the lowest emission car that you can buy. Even when taking the emissions from the National Grid into account, EVs are greener than petrol or diesel-powered cars per mile. 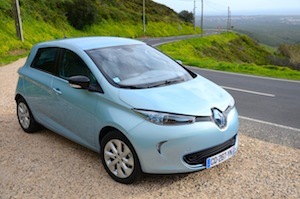 EVs offer a very quiet, smooth and refined driving experience. 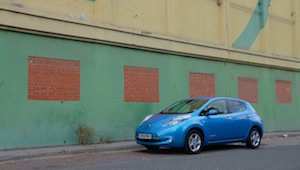 EVs have very low running costs – approximately one-fifth of a conventional petrol or diesel car. EV drivers currently pay zero company car tax. 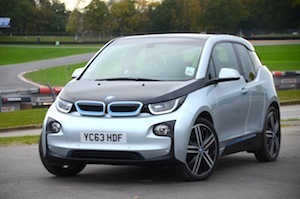 EVs are exempt from the London Congestion Charge. Low fuel costs can outweigh high purchase costs. 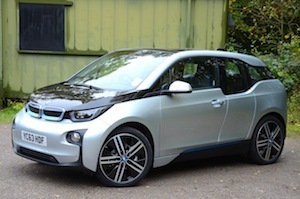 Most EVs have a limited driving range – on average, around 80-100 miles, though some have more. EVs can be relatively expensive to buy, though this can be offset by the Government’s Plug-in Car Grant, and by lower running costs. Driving at motorway speeds will run the battery down more quickly, reducing range. If you drive fewer than 80-100 miles per day, and you can recharge overnight at home, or can recharge at work, an electric vehicle may be an ideal way to reduce your vehicle running costs. The Nissan LEAF, the world’s first mass-produced electric family hatchback, is now rolling off the production line, and Green-Car-Guide has carried out its most extensive test of the car to date, both in the city and on the open road. The Twizy may be Renault’s vision of a zero-emission solution for urban transportation , but that doesn’t mean that the future for city drivers is dull. 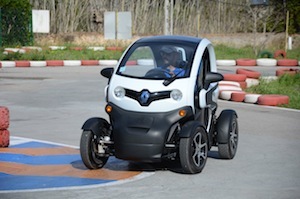 In fact quite the opposite; the Twizy is quite simply one of the most fun vehicles that you can drive. 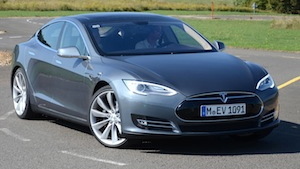 The Tesla Model S is a pure electric car with a 300-mile range, a 0-60mph time of 4.2 seconds and a top speed of 132mph. It also has seven seats, it looks fantastic – including on the inside where the dashboard is dominated by a huge 17-inch diameter iPad-like touchscreen – and it has an excellent safety rating. For the investment BMW has made in developing a truly innovative efficient car, that also drives extremely well, the BMW i3 is awarded a Green-Car-Guide rating of 10 out of 10. 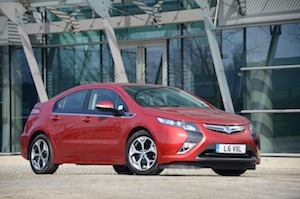 We’ve driven the Vauxhall Ampera on the European launch and on the UK launch, but we wanted to see what it’s like to live with this Extended-Range Electric Vehicle (E-REV).